The Barefoot resort in Havelock Island is dotted with the Fish-tail Palm tree. 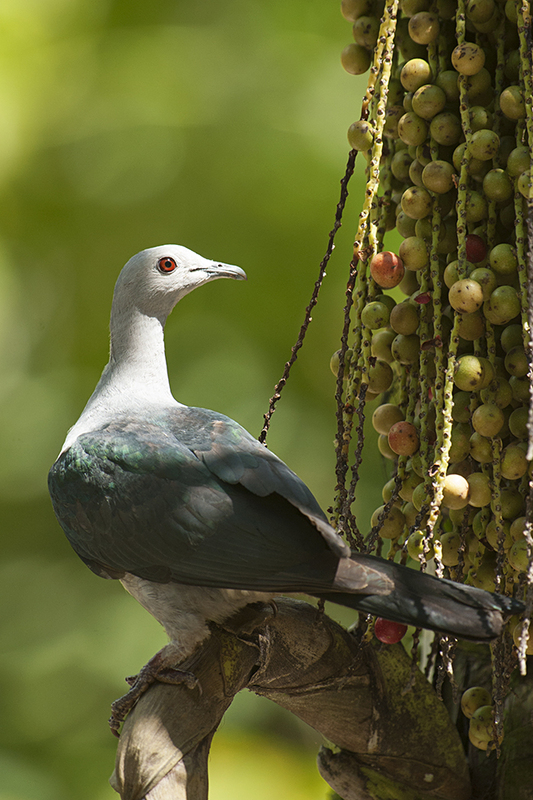 And one of the birds that one can see feeding on the fruits of the tree, is the Green Imperial Pigeons. 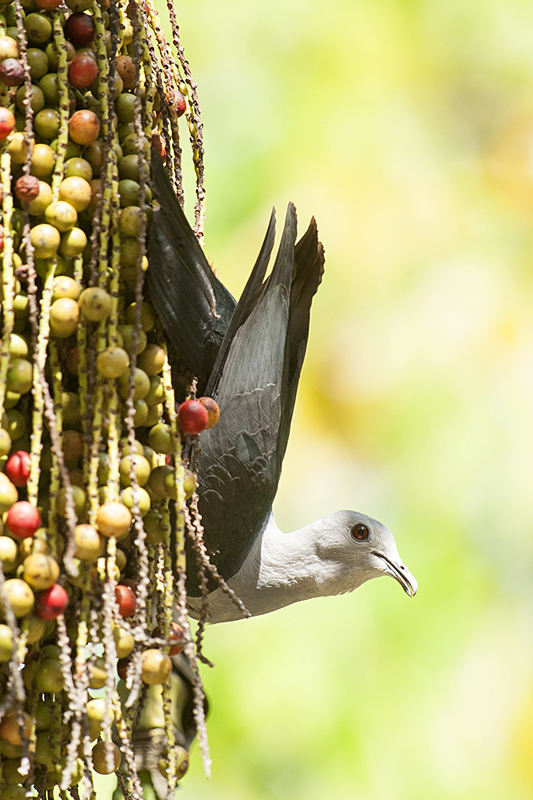 I kept missing the opportunity of photographing them while feeding on the fruits of the tree. And the last few times that I spotted them, thanks to Sanjit, they weren’t keen on feeding. 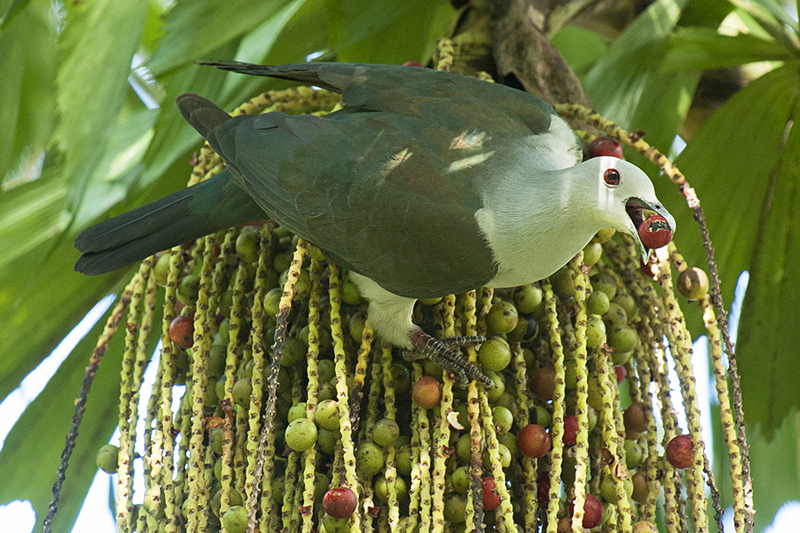 However, towards the end of my stay at Barefoot, I finally caught a Green Imperial Pigeon feeding on the fruits of the Fish-tail Palm tree, right next to the reception area. 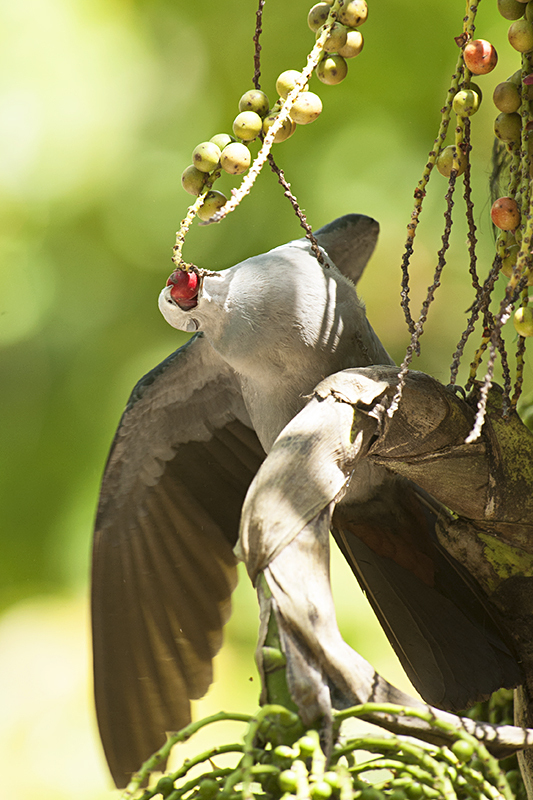 Given that we photographers always wish for the birds to give us spectacular poses one after another; in this case that pose would have been the Green Imperial Pigeon holding a red berry in its beak, moments before it swallows it. 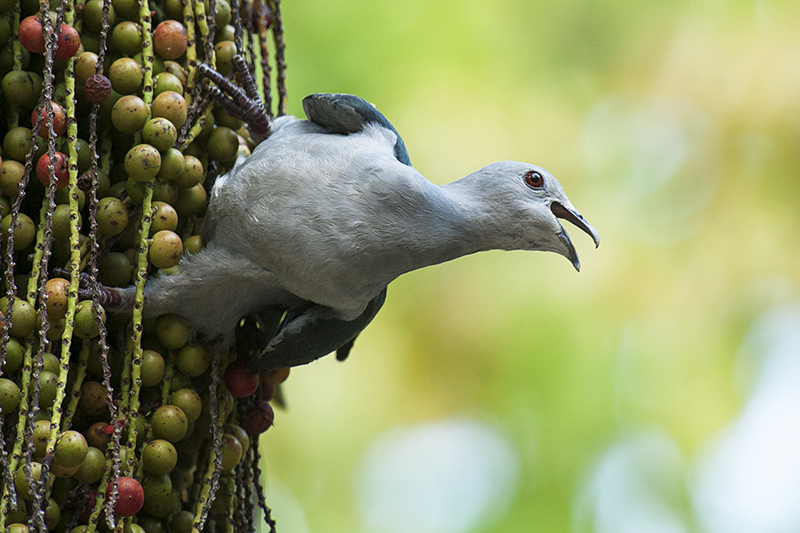 I missed the timing to get that exact moment while photographing the Green Imperial Pigeon at the reception area. 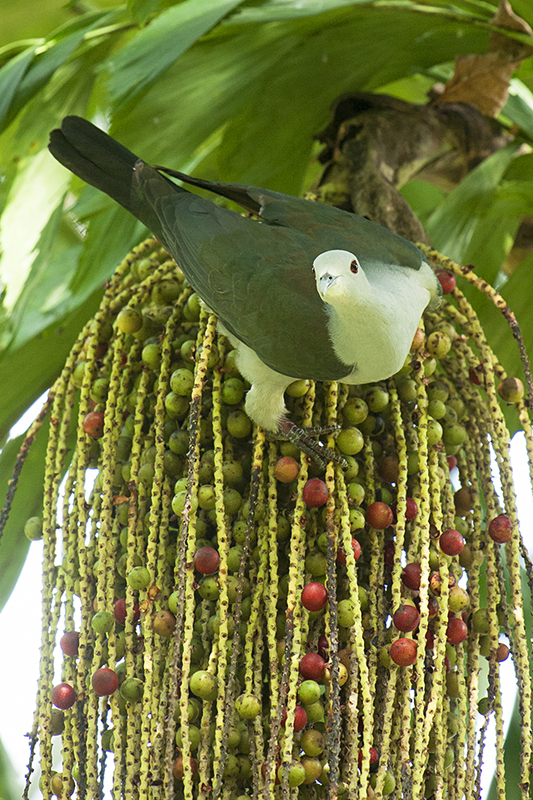 However, another Green Imperial Pigeon (below) on another Fish-tail Palm tree gave me that dream shot, which I pictured as the feature image of this post (first image).